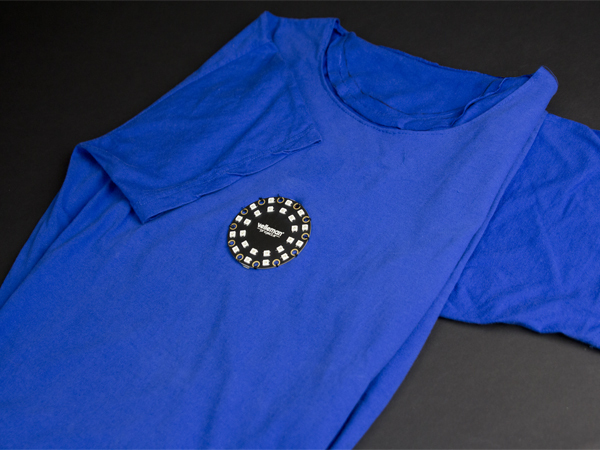 This BrightDot is an ATmega32U4 based, Arduino® compatible development board that you can use as a wearable or e-textile. 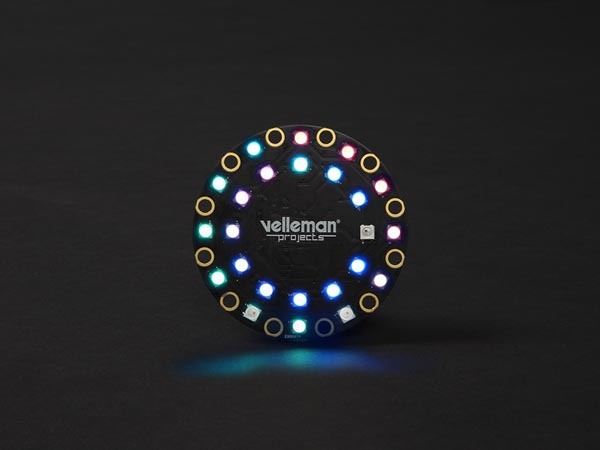 Be creative and use the multicoloured RGB LEDs to brighten up your wardrobe, decorations, backpack or even make Christmas ornaments! 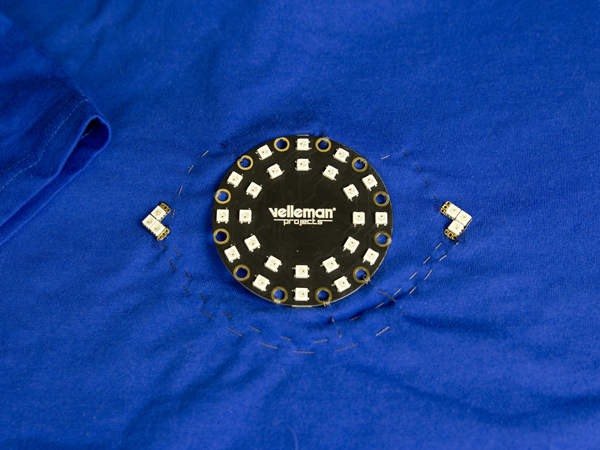 The alligator friendly pads/holes enable you to quickly prototype your creation. The pads were also made bigger to ease the use of conductive wire and they are gold plated to ensure durability. 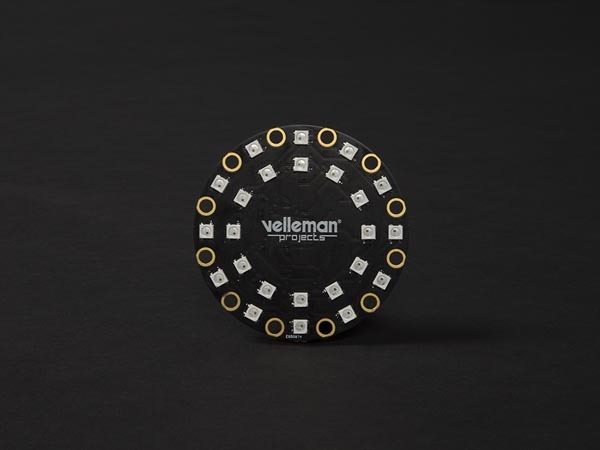 The integrated single cell LiPo charger makes the LED badge more versatile, even though it has an existing open system. 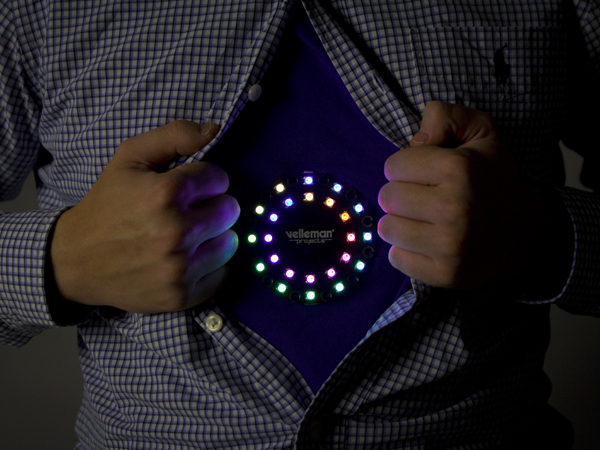 The 24 BrightDot LEDs (WS2812) enable you to display bright and colourful animations with just a single pin! 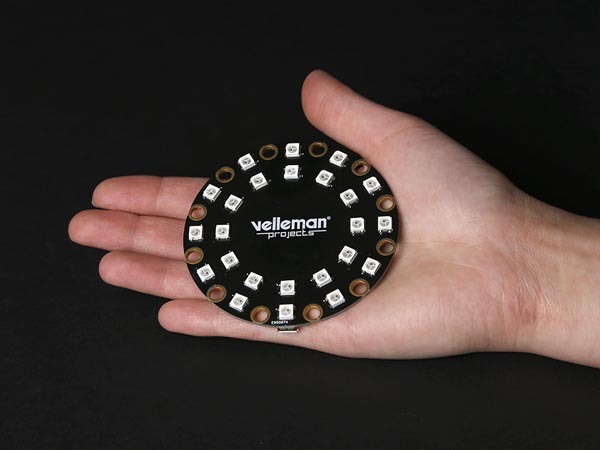 This module comes preloaded with a watch program and an onboard hardware real time clock. 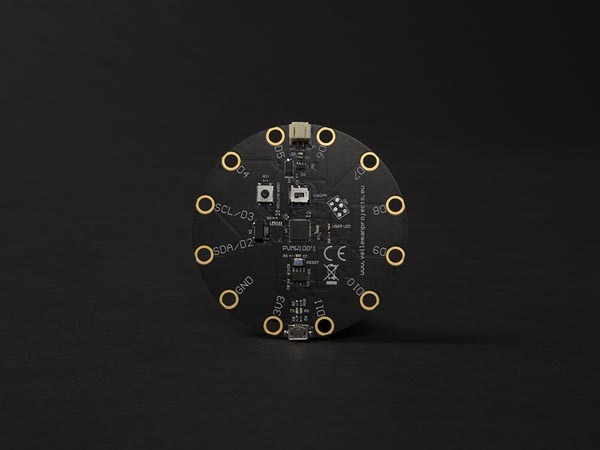 The real time clock enables you to keep the time, even when the ATMega32u4 is powered off (but the power supply must stay connected). 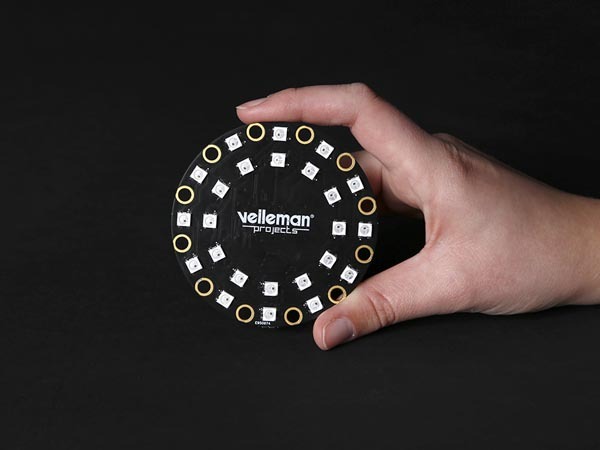 With the onboard single colour LED and button, you can quickly debug and test programs without any wires. To top things off, a dedicated ON/OFF switch is included to keep the power consumption as low as possible when you're not using the device.